On Sunday, September 16 from 10:00 am to 4:00 pm, this self-guided tour is putting the “fork” back in “North Fork”. With over twenty different participants all representing a taste of the local cuisine, you can look forward to more than just tasty bites. Nourish your body and your mind with behind-the-scenes tours of different farms, vineyards, gardens and more – every foodie’s dream come true! The tour includes activities perfect for all ages, so feel free to bring the family along on this educational and esculent expedition. Participating locations and their offerings are listed below. Check them out and start planning your route now! Goodale Farms- 250 Main Rd. Browder’s Birds - 4050 Soundview Ave.
Macari Vineyards - 150 Bergen Ave.
Mar-Gene Farms - 2230 Soundview Ave.
8 Hands Farm - 4735 Cox Ln. Greenport Harbor Brewery - 42155 Main Rd. Outdoor tour on oyster growing and oysters for participants to enjoy! 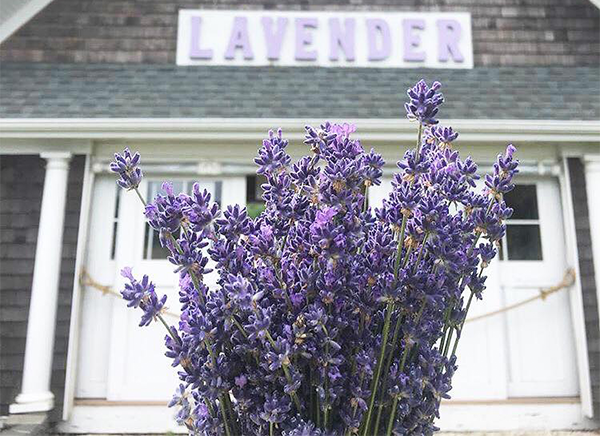 Lavender by the Bay - 7540 Main Rd. Tickets for Foodie Tourists are $25, and children under 12 are free. Get yours online here or purchase them in person at Gallery M in Greenport, Complement the Chef in Southold, Mattituck Florist, or Barth's Pharmacy in Riverhead. Tickets may also be purchased on the day of the tour at any Foodie Tour location. For further information, call (631) 722-5712 or email kaywin316@earthlink.net.